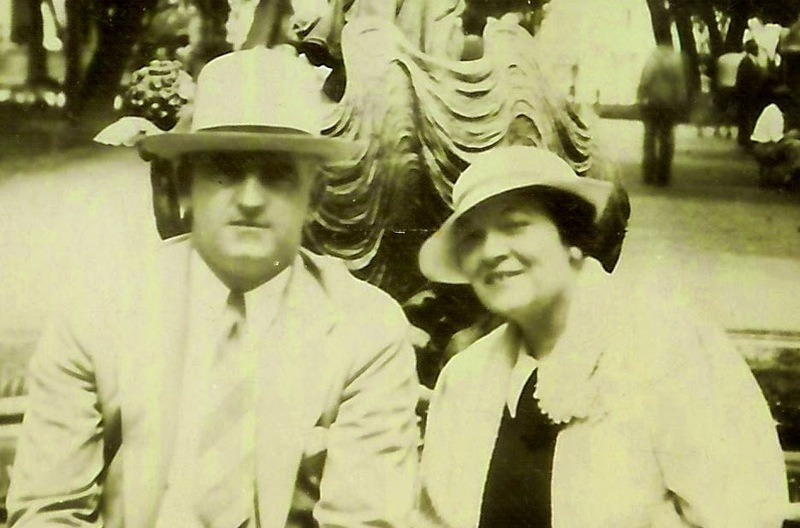 Phillip and Benita McCormick, Mexico, 1937.
unknown. From the scrapbook of Benita (McGinnis) McCormick. From the postcards Uncle Phil and Aunt Detty purchased here, it would seem at first glance that Taxco’s mountain setting and colonial architecture attracted a fair share of artists and photographers. Having visited there myself on two occasions, I found it to be a memorable destination, adorned by striking white stucco houses with red tile roofs, hilly cobblestone streets, and exotic flowers and plants. Its zócalo, or main square, is crowned by a splendid Churrigueresque cathedral and is bordered by artisan silver shops bustling with tourists from all over the world. 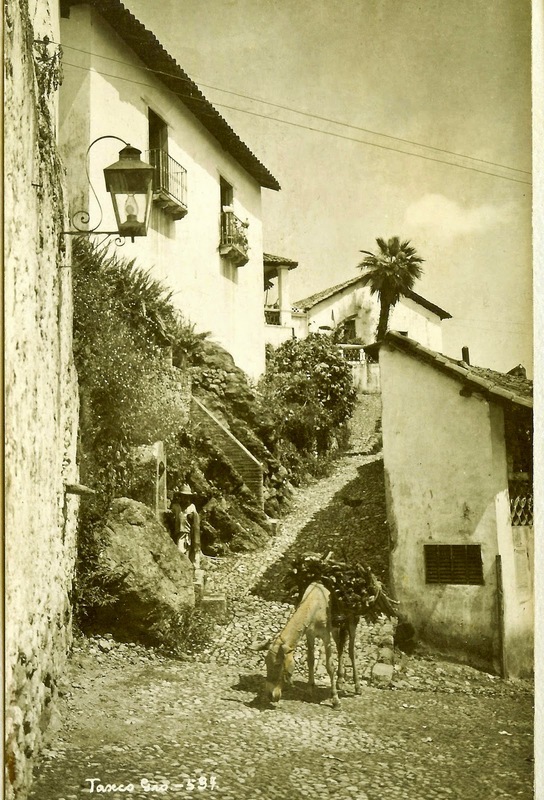 But Taxco wasn’t always bustling. An ancient town that dates back to Aztec times, at one time it was surrounded by silver mines that fattened the coffers of several prospectors and facilitated the building of Santa Prisca Cathedral by its most prosperous miner. Sadly, many of the mines were destroyed during the 1810 War for Independence from Spain, while other mines were depleted of their precious metal. The events precipitated the decline of the town’s economy and eventually, its population, by the mid-nineteenth century. A few short years later, visitors began flocking to this remote town. It was not an easy place to reach; travelers had to endure narrow, steep, and twisting roads to get there. ut the effort was well worth it, and artists, photographers, and tourists alike were inspired to record the rewarding sights with their cameras, paint brushes, and pens. Aunt Detty and Uncle Phil probably spent a few days here, exploring the winding streets and filling their senses with the many sights, sounds, and smells.. If there was an artists’ class here, Aunt Detty, her blue eyes twinkling, would have been the first to sign up for it. Uncle Phil, in his trademark tweed jacket and beret, would have grinningly stepped into a small shop, Spanish phrasebook in hand, eager to practice his Spanish with the local residents. The McCormicks’ own striking presence would have turned the heads of many a Taxquenian. Despite the increase of tourism in this part of Mexico in 1937, foreign tourists (Americans were referred to as güeros, or “fair-skinned”) still were not seen frequently but were regarded with open and mild curiosity. My aunt and uncle did not mind at all. They viewed the attention as an avenue toward new friendships and discoveries. 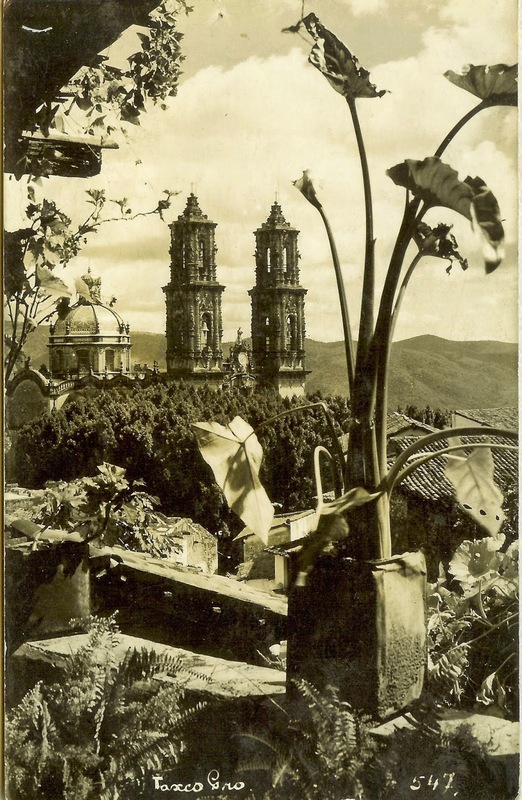 Of all the postcards Aunt Detty and Uncle Phil brought back from Taxco, this last one is my favorite. 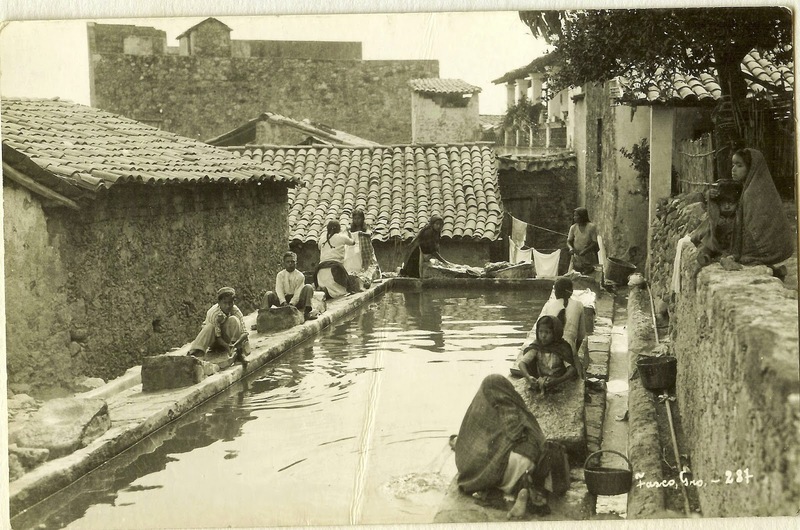 It depicts a group of indigenous women and children washing clothes in a communal pool. Their expressions suggest mild surprise at the (unknown) photographer’s presence, maybe even puzzlement over his choice of them as his subjects. His skillful composition draws us into the center of the scene. He juxtaposes the simple and lightweight dress of the women against the stark worn walls of the buildings, the wavy pattern of the tile roofs, and the passive waters of the pool. The effect turns this otherwise routine act on a languid day into something very special, inviting us to take part in the ritual. Aunt Detty, who lived anything but a routine life, would have loved the raw beauty in this scene. I don’t remember that she ever painted anything quite like this, but some of the female subjects in her later paintings bore expressions that were reminiscent of the purity and simplicity of the women in this picture postcard. I have no doubt that she was moved by the beauty of Taxco and its people, as well as by the resurgence of artistic expression during the town’s rebirth. To experience the “Magical Town” of Taxco and its surroundings, as as it looks today, you can view this promotional 2011 video by clicking here.